Junior K is looking for a talented, motivated Senior UX UI Front End Developer to join our UI UX Development team.Dedicated to excellent customer experience through terrific products, services and a great shopping experience. Fulltime opportunity to become a valued member of their teamThe position will be responsible for designing custom webpages, promotions, ads for eCommerce, informational, lead generation, etc. 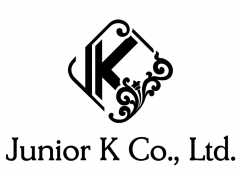 Junior K is looking for an information management IntegrationBusiness IntelligenceETL technical managerlead for its POS solution delivery unit to provide technical management and leadership on large scale project requirements, architecture, design, data mapping, technical team management, testing management, code reviews, etc.. This individual will primarily have a client delivery focus and will assist with business development as a solution creator. Implement and enforce develops procedures and policies, and trainings, to application team personnel.Participate in the development of a ContingencyBusiness Continuity plan to support backup plans for business critical applications in the event of a disasteremergency.Lead regular IT Application support meetings.Must understating of the cloud base MFI application system, MIS, SAP, ERP system functionality as mandatory. Must understand the IoT platformsdevices once used in Fintech technology and digital payment channels. Lead and contribute to escalated problem resolution, when necessary.Plans, executes and finalizes projects according to timeline and budget.Provide Information Services and Technology guidance and assistance to all staff and ensure processpolicies are maintained in accordance with established Hayman IT standards.Experience with providing to the awareness of the digital automation process to increase efficiencies in particularly MFI sector environment.to implement tablet application and customization such as Loan APK, client APK at android platform.Excellent knowledge of Application support and service practices, ITIL qualification is preferreddesirable.Additional RequirementGood experience of the digital environment and also must understand of the Fintech, cloud based MFI application. Hand on good experience with the Microfinance environment at least required 4 years and more. 2 years relevant experience with the MFI digital innovation application product management such as mobile financial services. Well known knowledge of the IP VPN and security gateway. PPTP, L2TP, IPSecAble to understand knowledge of the firewall system such as Mikrotik CCR, CheckPoint etc. 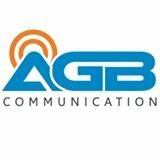 To monitor the AGB Data Center and related Electrical SystemsRespond on first level support .Call out Duty Engineer if escalation is required.